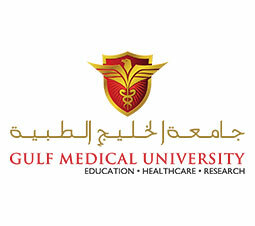 Gulf Medical University (GMU) established in 1998 is a leading medical university in the Gulf region. 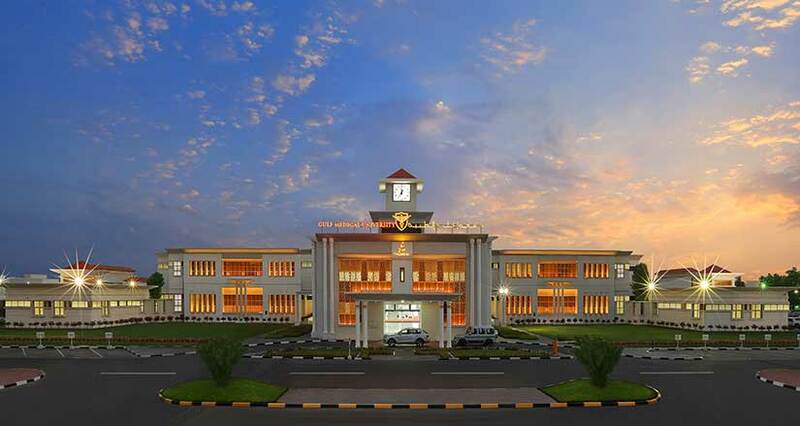 It offers Medical and Health Professional Education in the field of Medicine, Dentistry, Pharmacy, Physiotherapy, Nursing, Medical Laboratory Technologists, Medical Anesthesia & Surgical Technologists, and Medical Imaging Technologists. GMU offers post graduate programs in Toxicology, Public Health, Clinical Pathology. In addition, the university also offers Short Term Certificate Courses for Health workforce development and career enhancement. GMU differentiates itself having its own network of hospitals, clinics, and institutes. The Thumbay Institute for precision medicine and translational research, Thumbay institute for population health and Thumbay Institute of health workforce development are the hubs for research, post-graduate studies, and continuous professional development. The university programs are accredited by Ministry of Education, UAE. All programs are recognized by World Health Organization (WHO) and listed in the WHO Directory of Medical Schools and IMED under the auspices of FAIMER and the list of program offerings in universities of the Eastern Mediterranean Region (EMRO) of the WHO. It has graduated about 1300 graduates and another 900 are graduated under Continuing Medical Health Education program.